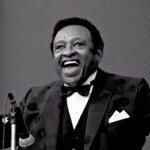 August 31, 2002 Lionel Leo Hampton, jazz vibraphonist and band leader, died. Hampton was born April 20, 1908 in Louisville, Kentucky. While still a teenager, he played the xylophone and drums. In 1936, he joined the Benny Goodman Quartet, making it one of the first racially integrated jazz groups to record and play before wide audiences. In 1940, Hampton formed his own big band which was very popular during the 1940s and 1950s. Hampton continued to play until shortly before his death. Hampton was also deeply involved in the construction of various public housing projects and founded the Lionel Hampton Development Corporation. He also served as vice chairman of the New York Republican County Committee and was a member of the New York City Human Rights Commission. In 1982, he received a star on the Hollywood Walk of Fame, in 1987 he was inducted into the Down Beat Jazz Hall of Fame, and in 1988 he was designated a NEA Jazz Master by the National Endowment for the Arts, the highest honor the nation awards to jazz artist. In 1996, President William Clinton presented him with the National Medal of Arts, the highest honor bestowed on an individual artist by the United States. Hampton’s autobiography, “Hamp: An Autobiography of Lionel Hampton,” was published in 1989.